Unlike residential or commercial furniture, your boat upholstery requires a different type of care altogether. Boat upholstery is very expensive to replace. Therefore, it’s imperative that we take the right steps to ensure its look, quality and integrity. Do protect it from the sun. The elements tend to do the worst to your upholstery if it’s not properly covered. Rays from the sun damage the vinyl and thread, so take that into account before parking your boat outside. Do buy a properly fitted storage cover. Consider it an investment since the money that goes into keeping your upholstery clean will contribute to a higher price if you ever sell your boat in the future. Do allow proper ventilation. Moisture needs to stay out of theboats interior, so allow proper air flow in the boat’s vicinity. Do keep your upholstery clean to prevent mold growth. Now that we’ve covered the dos, your next step is to educate yourself on some of the mistakes people make when caring for your boat’s upholstery. Don’tgo for the cheap tarp. Though light on your wallet, cheap tarps can cost a lot more in terms of your boat’s upholstery, since it won’t be able to keep the sunlight away from the fabric. Don’t throw the cover in a box when it’s not in use. A well-kept cover translates to proper protection, since proper handling will keep it from getting any tears. Don’t leave your boat uncovered in the winter. If you’re taking care of your boat by your own, the worst thing you can do is keep it uncovered, or keep it covered with an ill-fitted tarp. Don’t use just any products to keep your upholstery clean. When buying material for your boat’s upholstery, ask the source for recommendations. Don’t scrub when cleaning the upholstery. Never ever power-wash the upholstery. Otherwise you’ll remove any protective coating it has. Be gentle and use soft clothes, approved cleaners and clean slow flowing water. And get in the nooks and crannies too, since the dirt and moisture in those spots might cause mold to grow. Need to Replace Your Boat Upholstery? There’s no need to fret if you’re too late! 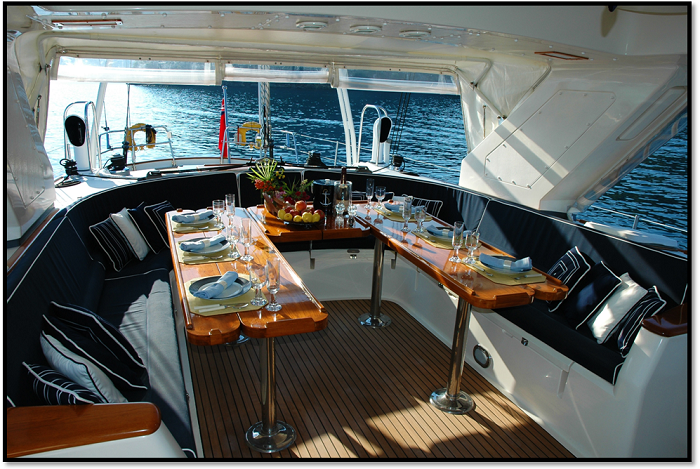 Genesis Upholstery is here to offer our services so you don’t have to worry about your boat’s upholstery again. We offer premium upholstery services for residential, commercial, auto and boat furniture as well, all at affordable rates in Nashville, TN! We hope that you benefit from our guidance to enjoy the aesthetic and quality of your boat’s upholstery for the years to come!